We are starting a new section of our blog called "Five-Minute Fillers", because we have realised that a lot of our readers are busy parents who wish to spend quality time with their children but are tired after a long day at work. Or you may be looking for ideas as to how to keep your little "preschooler hurricanes" occupied before they destroy the house! Anyway, these are either our own ideas or modified from other blogs; they are completely easy to execute in terms of materials and time needed, but hopefully high in returns in terms of the amount of play and learning your children will get out of these simple activities. Five minutes of prep but hours of fun! 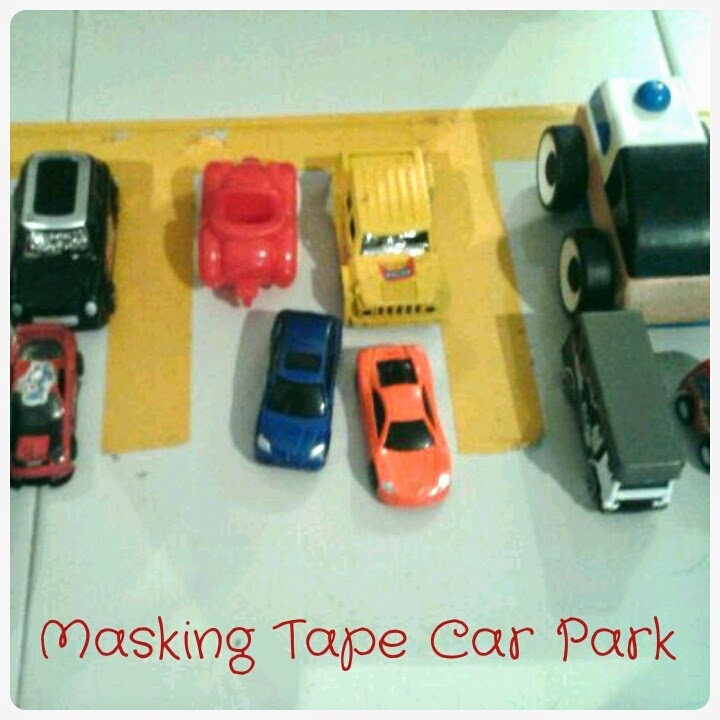 Arrange the tape in a car park design. Demonstrate the idea once. Let the kids take it from there!